Often when we get sick or injured, our biggest concern lies not with our health but with our pocket. The question of will we get better plays second fiddle to how much will we end up having to pay. This is why the best option for most of us is affordable walk-in clinics. 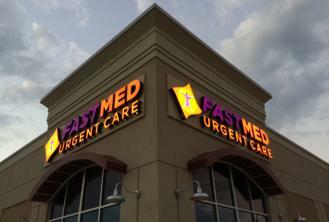 In the greater Phoenix area, FastMed Urgent Care offers 30 such facilities. FastMed offers a new way to receive primary physician-quality care at a walk-in clinic price. Our affordable walk-in clinics in the Phoenix, AZ, area feature several ways to make sure the health of your pocketbook is never in jeopardy. We accept most major insurance companies. The FastMed Savings Plan is available for qualified customers without insurance. The program offers three levels of flat-fee service. We regularly offer seasonal specials such as $25 back-to-school sports physicals and low cost flu shots leading up to flu season. All of our clinics offer many of the prescriptions ordered as part of your treatment plan on-site. FastMed also provides a prescription discount card, saving our patients up to 75% off prescription medications at most pharmacies. With FastMed, making a sacrifice on price doesn’t mean a sacrifice on service. Our affordable walk-in clinics offer a full slate of services including injury and illness treatment and management, vaccines, physicals, x-rays, blood, and urine testing and more. We offer all of this with no-appointment necessary convenience and low-wait times upon arrival. Eliminate the questions about your bank account and instead get the answers about your health. Visit FastMed’s affordable walk-in clinics in Phoenix, AZ, for your health care needs.